This car boot loading device was designed to be powered manually by the user, giving them a mechanical advantage, and enabling them to lift a load of 100kg. 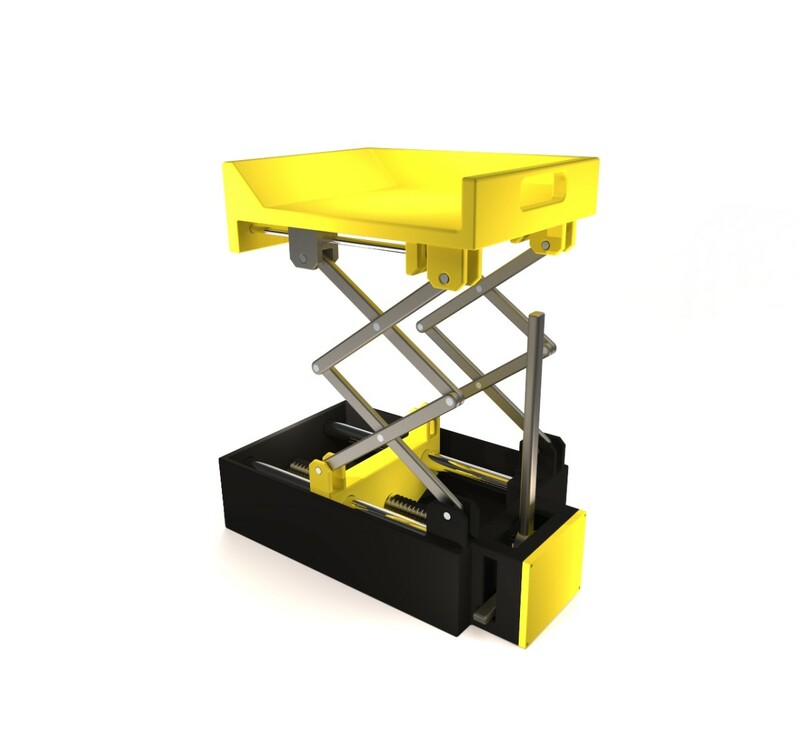 A sprung and geared foot pedal to operate the scissor lift. A heavy duty ABS tray to take the load. Accessible foot pedal and gearing system. Light weight Aluminium scissor arms and framework. Collapses down into a compact unit for storage.